Muse joined the Stanley Street restaurant scene in November and is a place where you are certain to find inspiration on your plate. Downstairs from the popular Two Olives restaurant, it is already garnering its own loyal support base. 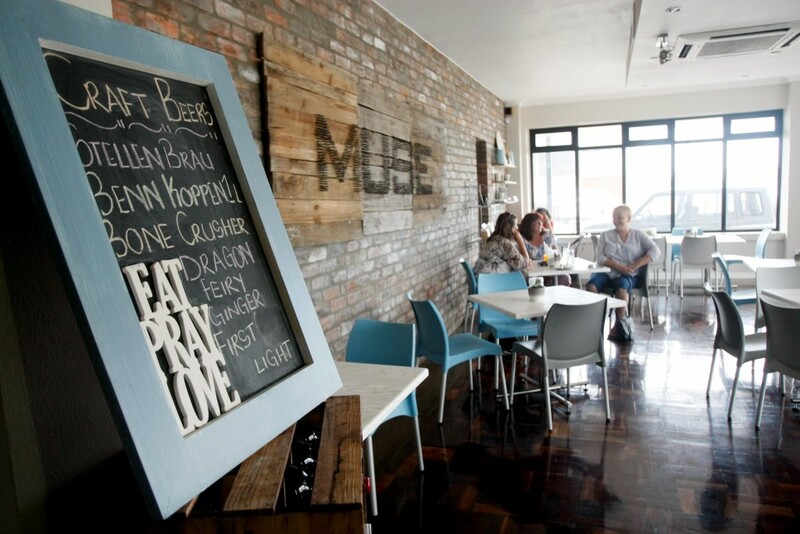 Muse is the brainchild of the ambitious couple, Allan and Simone Bezuidenhout. Both trained chefs, they earned their stripes as part of the opening team at the five-star Boardwalk Hotel. Simone, a skilled pastry chef, handles desserts at Muse, and Allan is responsible for starters and mains. The two make a great team, and it is courageous (if not a little crazy) of them to have given up secure jobs to follow their dream. Allan had previously distinguished himself as the Boardwalk’s executive sous chef under Paul Bain. Allan was always on the ball back at Kiplings Brasserie at the Boardwalk, but seeing him put even more energy and imagination into his own venture is delightful. 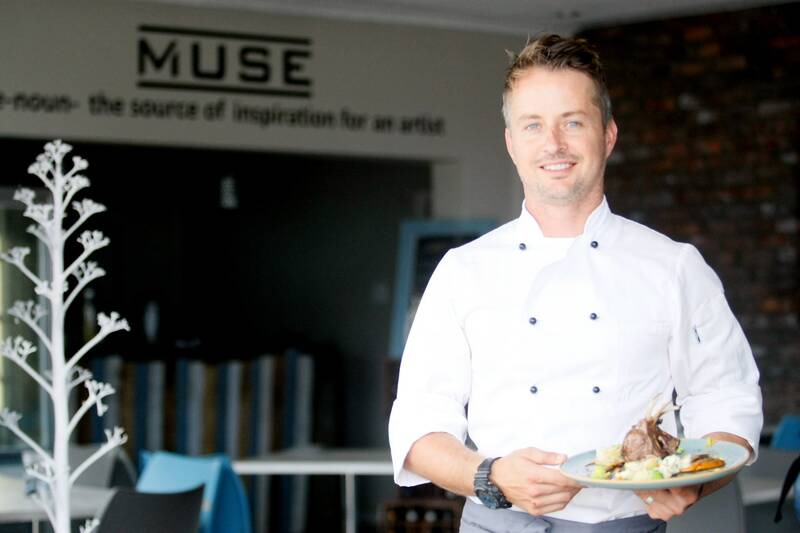 The menu at Muse is seasonal and the emphasis is on sustainable, locally sourced ingredients wherever possible. My beef carpaccio starter was the real deal: made from scratch and not conveniently bought from a supplier, as most restaurants seem to do these days. Hubby Salvelio’s fish cakes with vinegar chips, lemon, smoked ketchup (again no sign of a store-bought shortcut) and tartar sauce was downright delish. The main course, springbok ravioli with vegetables and jus, was expertly made, so complex and satisfying in flavour that a) I sloshed the jus all over my shirt (I was enjoying the dish way too much to care) and b) I was so inspired by the possibilities of ravioli that I rushed out to buy a ravioli press the next day. 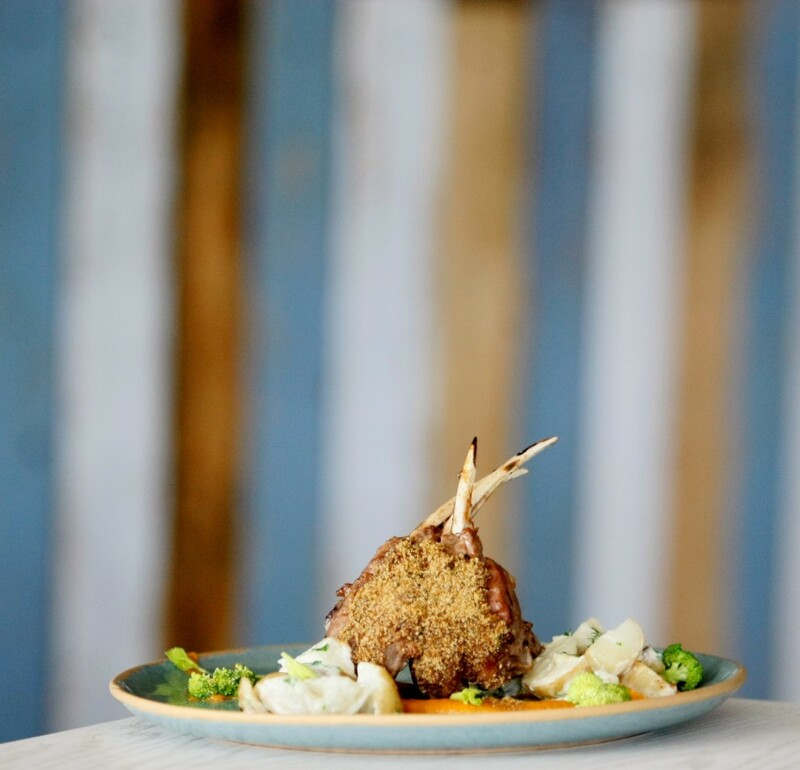 Salvelio raved about his beef short ribs with caramelised onion, potato fondant, veggies and jus – intense flavour like that is not achieved without toil. Unfortunately the dessert wasn’t the quality we were hoping for. But I subsequently learnt that pastry chef Simone was off sick that night, so I’ll have to go back to try it another day. 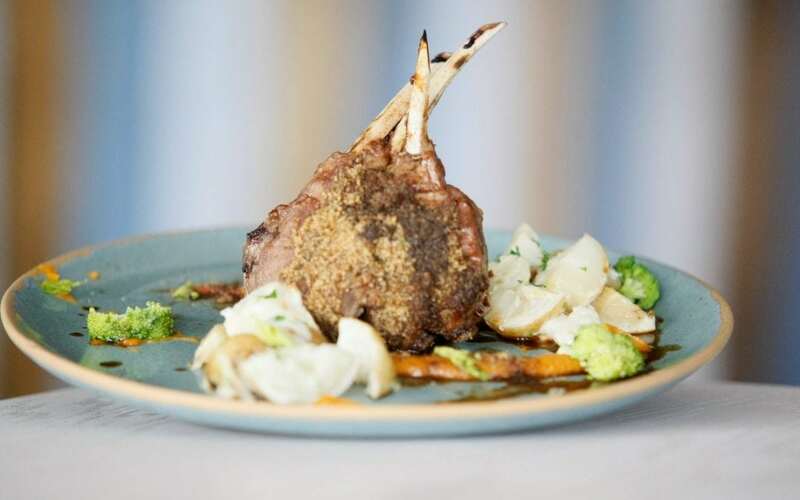 What we found especially appealing about Muse is that the food has an element of fine dining to it even though the restaurant’s atmosphere is relaxed. Muse boasts accomplished, sophisticated dishes to be enjoyed without any degree of stuffiness.